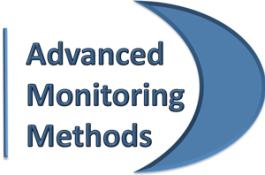 Advanced Monitoring Methods (AMM) maintains several areas of expertise. 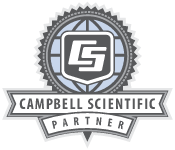 We provide expert-level services and products that include (but are not limited to): air monitoring, equipment/instrument integration, data acquisition, data services, and remote power systems. Our air monitoring services include: meteorology, AERMOD, air quality (SO2, NOx, CO, PM), hydrogen cyanide (HCN), sulfuric acid mist, mercury (Hg), IMPROVE, NADP, and custom monitoring systems. AMM’s equipment/instrument integration skills are second to none. We build robust systems designed to take a beating and still provide high-quality data. We provide high-end data acquisition and services to maximize both access to, and quality of, collected project site data. AMM’s customizable data acquisition system is designed to provide: remote data viewing and access, remote data download, on-line graphing and analysis, data summaries, interactive summary pages and camera systems viewing and correlation. AMM excels when it comes to remote monitoring in desolate locales. We are experts at designing and building remote power systems (solar, wind, fuel cell, hybrid, TEG, etc.). We are highly skilled fabricators of robust, modular, mobile monitoring solutions with built-in real-time communications (satellite, cellular, RF, 900 MHz, etc. ), remote diagnostic capabilities, and network cameras for 24/7 “eyes on” of your project site.